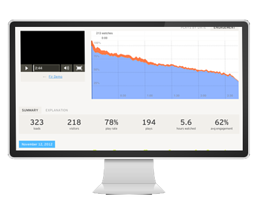 Video content marketing that effortlessly guides your leads down the funnel. Let us show you how. It all starts with a plan. Specifically, a strategy for using tailored video content at every stage of the funnel, built on in-depth research of your brand, goals, market and audience. For establishing broad awareness and thought leadership, video SEO is key. We optimise your video content to rank for your most important keywords across Google and YouTube. We believe in being efficient with content. By planning in advance we can decide how your videos will be repurposed — turned into transcripts, saved as brand graphics, and more. Video rules on social media, so we'd be crazy not to take advantage. We can edit your video content into shorter-form snippets ideal for sharing and seeding on social. Organic attention often needs a paid push. We're experts at setting up and managing video campaigns across numerous channels and ad formats. 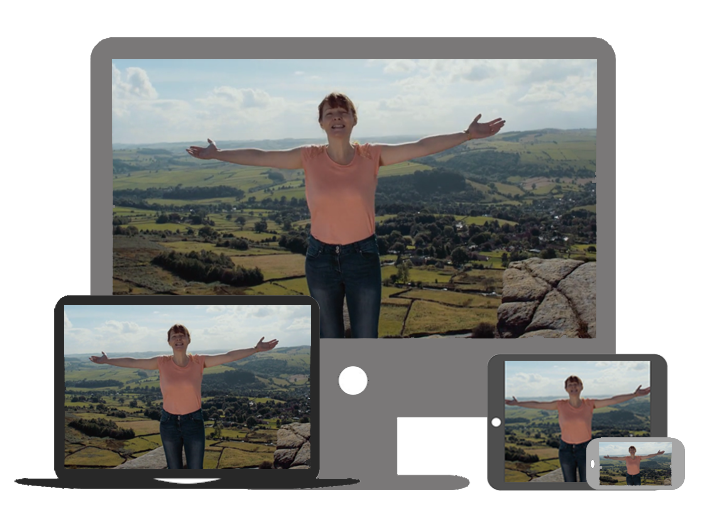 To do video content marketing well you need to be constantly monitoring and optimising. That's why we provide you video data, metrics, and suggestions for improvement. Video content marketing is about engaging your audience how, where & when they want to be engaged. It's about strategic video campaigns, rather than random, ad hoc projects. It's about integrating video across your marketing strategy to drive more profitable customer action. It means creating video content that's useful, entertaining and interesting for your audience — to provide exactly what they need at every stage of their buyer's journey, from first touch to closed sale. And it's what we do best. We can't create incredible content for your brand without first getting to know you. We speak to key stakeholders in your business to get a feel for why you work and where you're going. Interviews, surveys, stopping people on the street. We do all we can to understand your target audience, what they truly care about, and how to split them into detailed buyer personas. Internal content audits and external competitor analyses allow us to find gaps in the market you should fill and opportunities for you to destroy the competition. The creative approach for your video content involves taking all the insights we've discovered so far, adding a dash of inspiration, and concocting a novel way to connect with your audience. We believe in less rushing and more planning. So we create a comprehensive outline of what videos will be produced, by when, and through which processes — for maximum efficiency. How you use video content affects everything, from format to length to style. That's why we plan upfront how and where your videos will be distributed to best reach your audience. 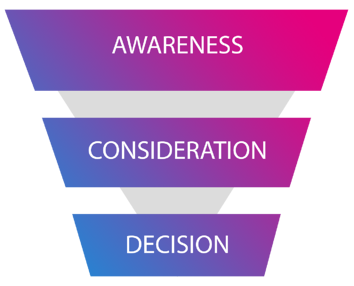 The funnel describes how leads move down the buyer's journey, from first finding out about your brand to choosing you over all competitors. Great video content marketing should use video to strengthen engagement and build loyalty at every stage. Your potential customers have a problem or a need, and are just starting to research the issue. You should educate or entertain leads and make them familiar with your brand. Now leads have clearly defined their problem and are finding out more about potential solutions. You should explain the benefits of your product or service. Your potential customers have decided on a solution and are considering different providers. You should make it easy for them to pick you by easing their final concerns. 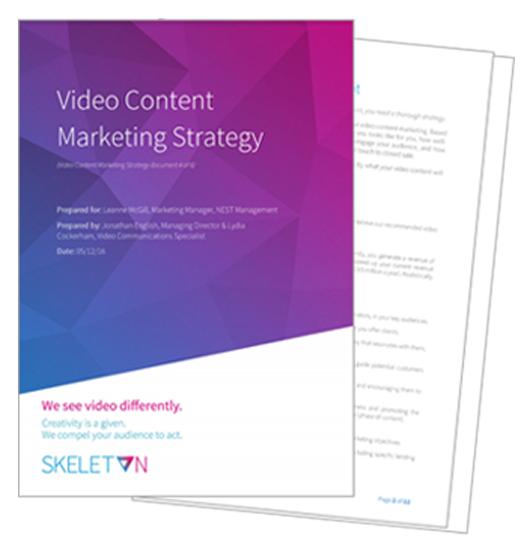 Successful video content marketing means creating compelling content throughout the marketing funnel. We're experts at using video to engage, inspire and drive action in your audience, no matter their stage in the buyer's journey. Take a look at our latest work through the funnel. Learn the foundations of creating better video with our Video Academy. 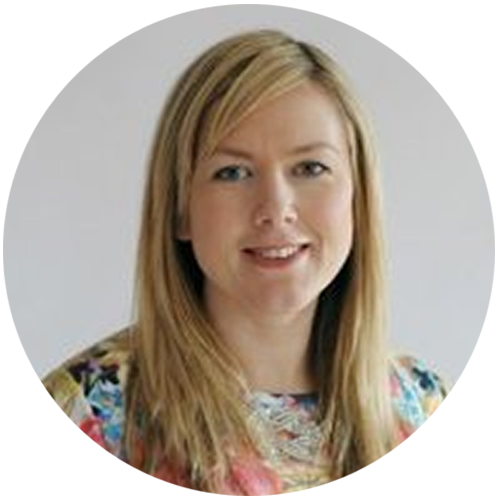 For a quick taster, watch the lesson below that covers the basics of the video content marketing funnel and how to use video content at each stage to fire up your sales and marketing. You can view more videos and sign-up for the whole academy below.